Opponents of Mayor Michael Bloomberg's effort to change term-limits are asking a court to stop the New York City Council from voting Thursday on the proposal. A judge denied a request Wednesday from two City Council members to block the council from voting on Mayor Michael Bloomberg's proposal to change the term-limits law so he can run for a third term. Brooklyn council members Bill de Blasio and Letitia James filed a petition earlier Wednesday asking Judge Jacquelyn Silbermann to stop a vote aimed at permitting officeholders to run for a third four-year term. The lawmakers contended that voting on the measure would violate the city's conflict of interest law because council members have a vested interest in its outcome. The ruling clears the way for a vote on Thursday, although it was expected to be appealed. The petition filed Wednesday named the council and the city's Conflicts of Interest Board, which consists of mayoral appointees. Last week the board concluded that it was not a conflict for council members to vote on term limits changes for themselves and the mayor. Randy Mastro, lawyer for the two petitioners, said his clients oppose the proposed term-limits vote "as a matter of deeply held principle." Jamie McShane, a spokesman for council Speaker Christine Quinn, who supports Bloomberg's proposal, said the panel had issued a "strong and decisive opinion." Two-thirds of the council members will be forced out of office next year under the existing law, which restricts the mayor, council members and other city officeholders to two consecutive four-year terms. The mayor's proposal would add the option for a third term. More lawsuits are expected if the council passes Bloomberg's proposal. Opponents, including good government groups, have said they are planning legal action, and billionaire B. Thomas Golisano says he might help finance such an effort. On Wednesday, three council members who say they are undecided on Bloomberg's bill announced they will introduce an amendment at the Thursday meeting that seeks to have the term-limits issue decided by voter referendum. Voters twice approved term limits in the 1990s, and the majority of opponents to Bloomberg's plan say the matter should be decided by the public and not the council. The amendment would establish a charter review commission with the intention of holding a special election by next spring. Bloomberg, whose supporters put the proposal on a fast track for a vote before the council, has said there is not enough time for a voter referendum, given that the next mayor's race is next year. He also contends turnout would be too low in a special election, creating the potential for legal problems. Bloomberg announced his intentions three weeks ago amid increasing turmoil on Wall Street, arguing that he is uniquely qualified to lead the city through the long-term effects of the financial crisis because of his business background. The founder of the multibillion-dollar financial data firm Bloomberg LP, the mayor is reported to be worth an estimated $20 billion. 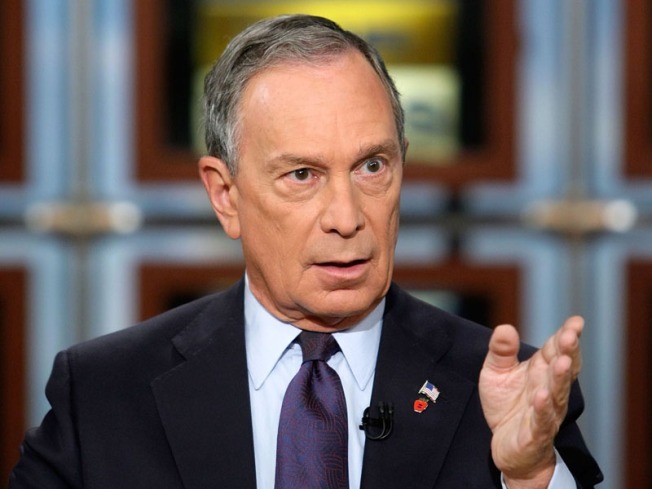 The petitioners' court papers note that Bloomberg had previously expressed his support for term limits. "Then, when the recent crisis in New York and worldwide financial markets unfolded, Mayor Bloomberg seized on the opportunity to make public his private desire to amend the term limits laws" so he and some council members could stay in office, court papers say. Bloomberg's first-ever veto when he took office in 2002 was to reject a council bill that sought to extend terms for some lawmakers. At the time, he said the proposed law was wrong because it amounted to changing the rules for personal political gain.